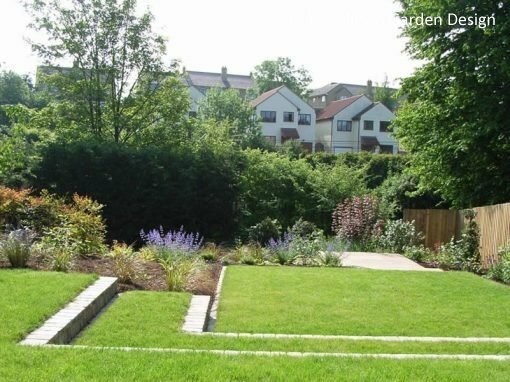 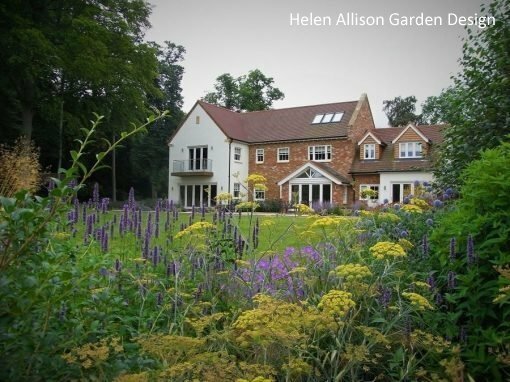 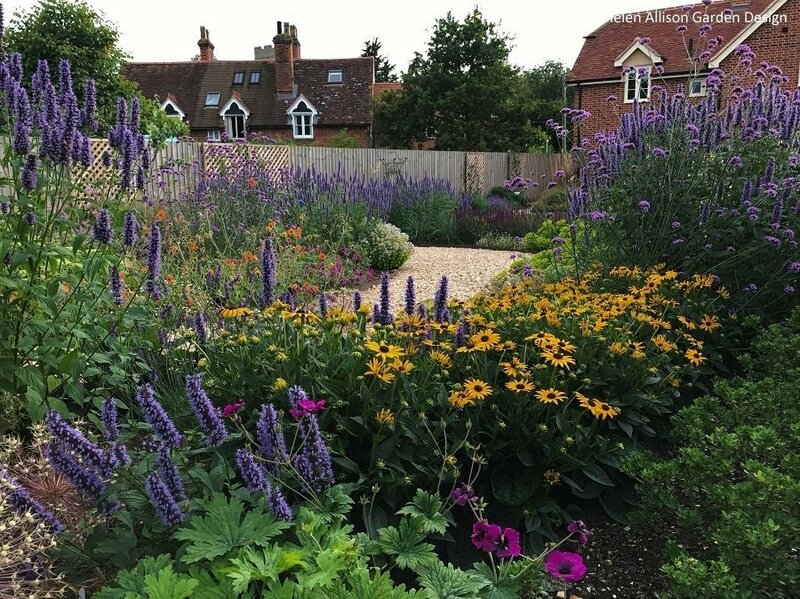 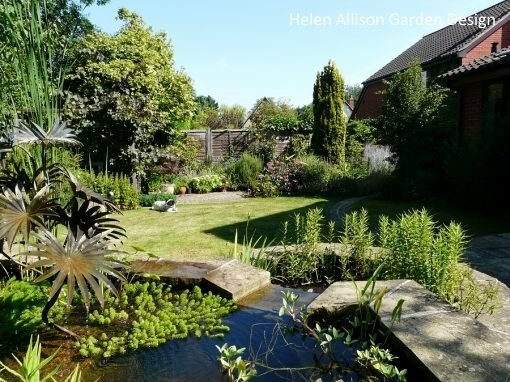 This heavily planted garden was commissioned by a keen gardener who had recently retired and was looking for a project. Curvaceous beds are edged in chunky steel with a rusted patina, and sit amongst low-maintenance gravel paths. 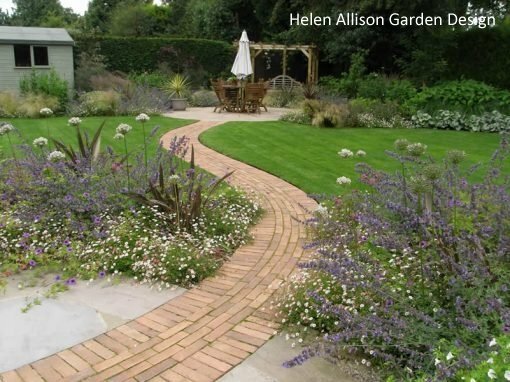 A small circular lawn provides a cool and restful space. 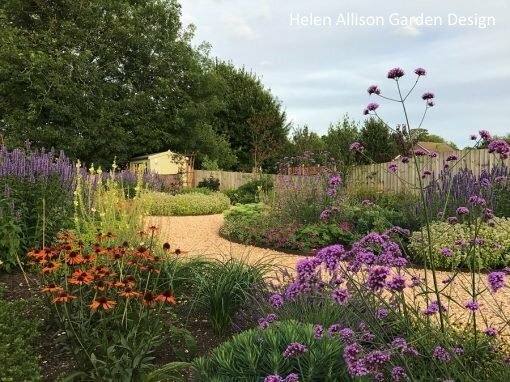 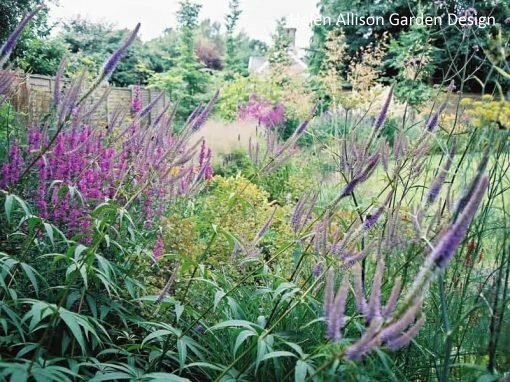 The planting is largely drought-tolerant and naturalistic, and has been deliberately kept low in height to maintain views to the rural landscape beyond. 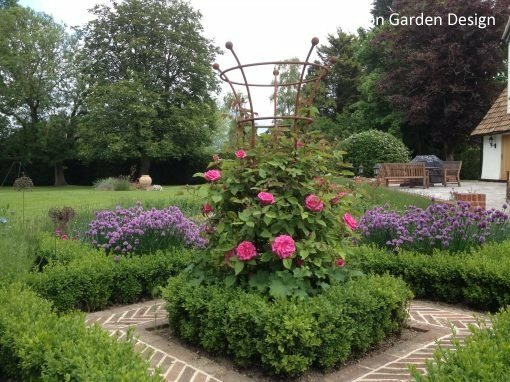 Large rusted steel obelisks, cloaked in clematis and roses, punch up through the planting and frame the borrowed view. 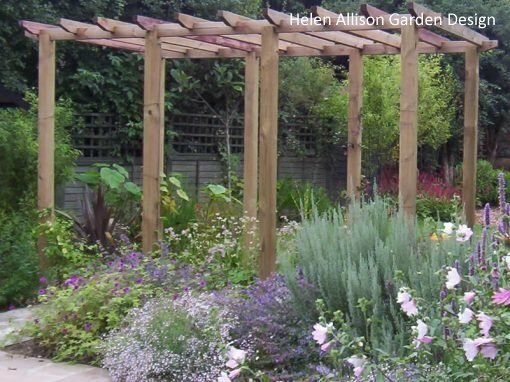 Good landscape design will take into account the environment surrounding the garden. 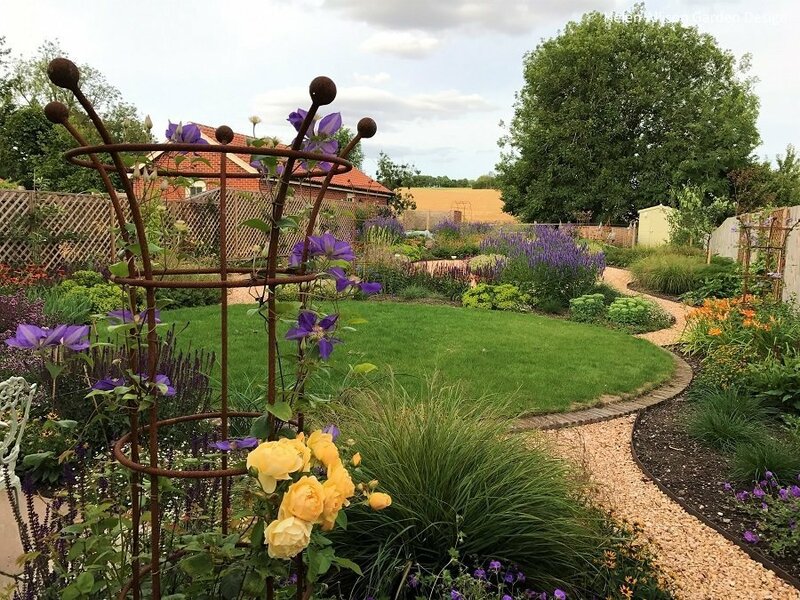 More often there is a requirement to screen off an unsightly structure or to provide privacy, however, should you be lucky enough to have a lovely view, then this can be made into a feature of the garden design. 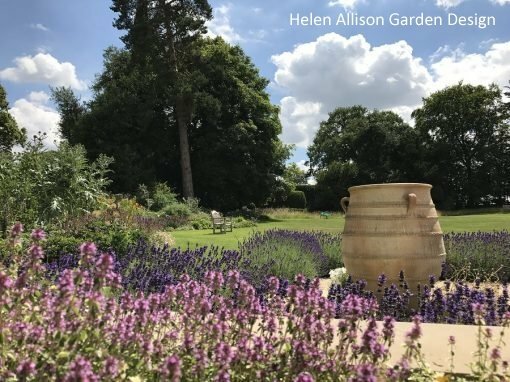 When this happens, we call it a ‘borrowed view’. 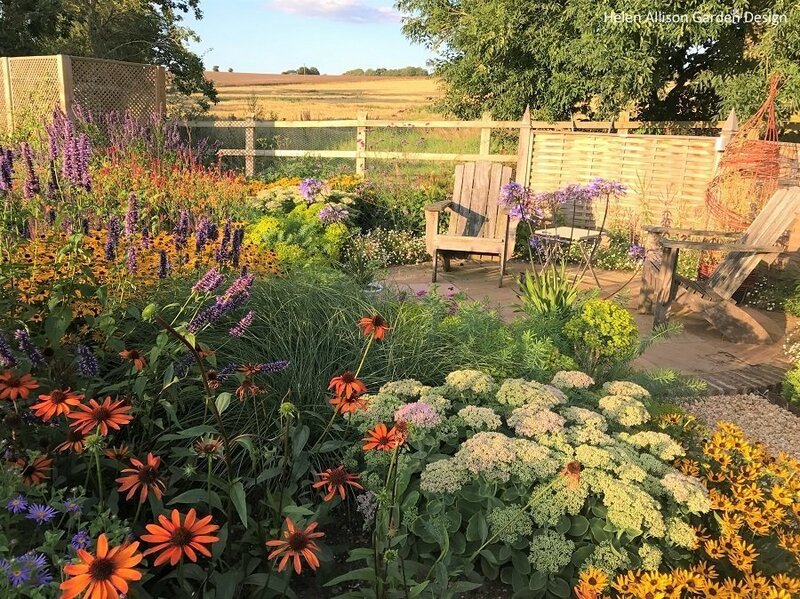 Leading the eye beyond the confines of the garden creates a sense of space as well indulging the pleasure of simply enjoying the view…….